Can an American Help a London-based company getting out of trouble? Casino Heroes got six new slots this week! Pirate’s Charm Video Slot is a May 2018 release by QuickSpin. As you probably guessed it by its name it’s a pirate theme game. And very much like many QuickSpin slots this one too delivers a lot of action! In fact, QuickSpin created a brand new mechanic in this slot which is the Charm symbol feature. And you’ll see this feature in action in both the main game and in the Free spins bonus! So, you’d be wise to learn a thing or two about Pirate’s Charm before playing it! If you choose to play Pirate’s Charm know that the Charm symbol feature plays a big part in the game’s action. Indeed, as you play, you’ll activate the Charm feature every time a dice lands on the reels. In essence, the dice will spin on itself to reveal a symbol that will give you a winning combination. Also, know that in the base game all charms that land on the reels trigger a Re-Spin as the charms remain on the reel. So, when this feature is active, it’s like getting a second, third and even fourth chance at a big win! Because any new charms that land on the reels will also trigger a Re-Spin. The Free Spins bonus game is even more exciting than the base game, and you’ll activate it with the help of 3 bonus symbols! Indeed, know that every charm that lands on the reel will remain sticky for the totality of your Free rounds. Also, keep in mind that once a reel is full of charms, you’ll win 2 extra Free Spins. Very much like all QuickSpin games, Pirate’s Charm Video Slot is excellent! In fact, this game studio rarely releases games that are not good if we’re honest! Granted that given its high volatility level we’re inclined only to recommend this game to daredevils and high rollers. But know that Everyday pleasure seekers who’ll claim a casino bonus will for sure enjoy this slot too! All and all, this video slot offers a great balance of bonus features. When we tested this game, we especially appreciated that players can win 10 extra spins in the bonus. And giving the fact that all charms are sticky, it means that there are honestly huge win opportunities for those who dare to try this game! 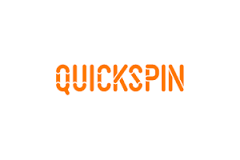 QuickSpin games are available in many online casinos such as Dunder, CasinoHeroes and VeraJohn. So visit their site to try this new game! Good luck and have fun! 18+, New Customers Only, Gamble Responsibly Read more at begambleaware.org.